Hand painted seat back with only Hall of Famers autographs! No seat cushion. 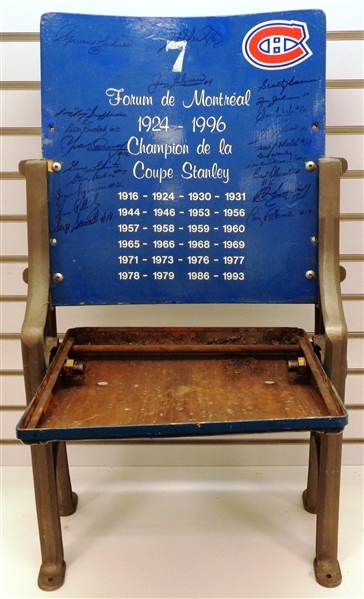 Chair is sold as shown. Shipping may be expensive so local pick up is recommended if possible. Includes Beckett Authentication Services certificate of authenticity. Auction closed on Sunday, February 17, 2019.